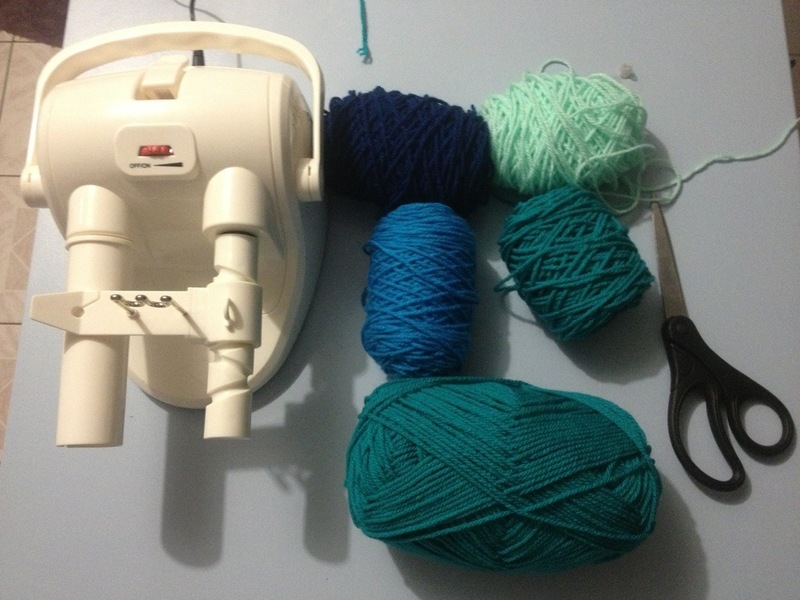 So this is the post I wanted to write last night before my lovely new yarn became horribly tangled and I spent all last night trying to untangle it. And it’s still tangled! 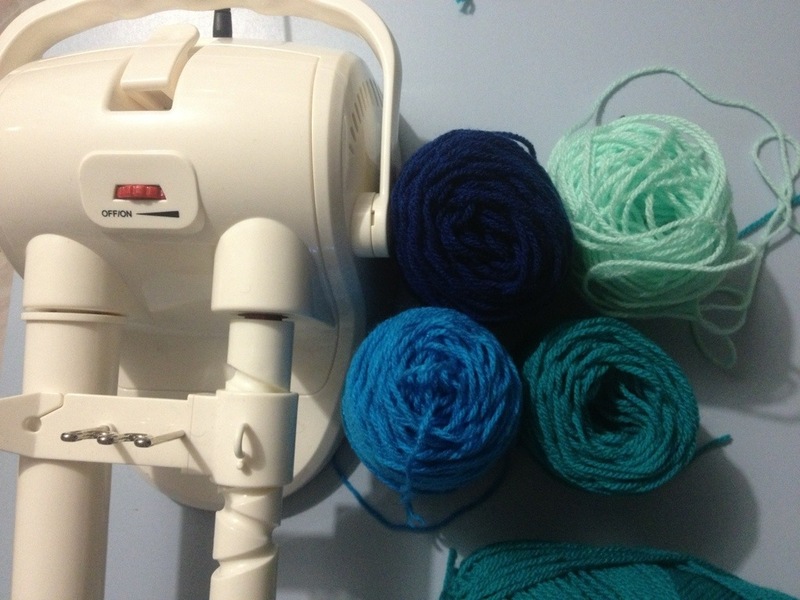 I am now the proud owner of a ball winder. Spotlight has a 30% off everything sale at the moment, so I went down on Saturday to pick up some more yarn for my hitchhiker (as I had underestimated its requirements). I managed to nab the last ball of that colour (hurrah!) before buying two more colourways for more hitchhikers. I’m really enjoying that pattern. Then on Sunday, my Bloke needed to pick up a part for a fishing reel and the fishing store just happened to be right next door to a Spotlight! Not being the usual store I go to I had more of a poke round at the different range, and happened to spot the ball winder. My usual store doesn’t stock these so I hadn’t seen them before. I couldn’t resist. The price tag was $50, but with the sale and being a club member it came in at half price. Bargain! 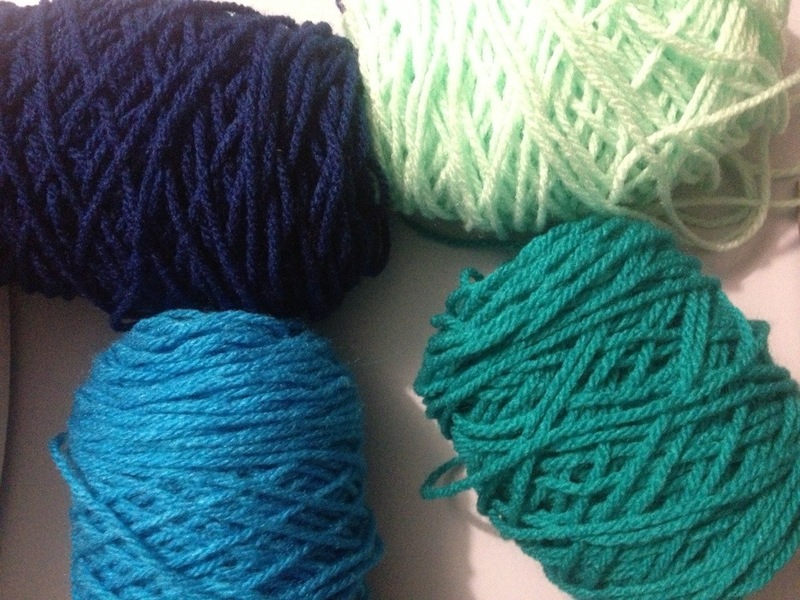 I also dreamt up a plan for another blanket with pretty ocean colours. Now I need to find a pattern to suit. I practiced winding the colours for my planned blanket, and thought that I was doing pretty well. Well enough to try the lovely skein from Ladybug Fiber which came in the mail a few days ago (with a bonus ladybug stitch marker) which is in the exact colours of my football team. 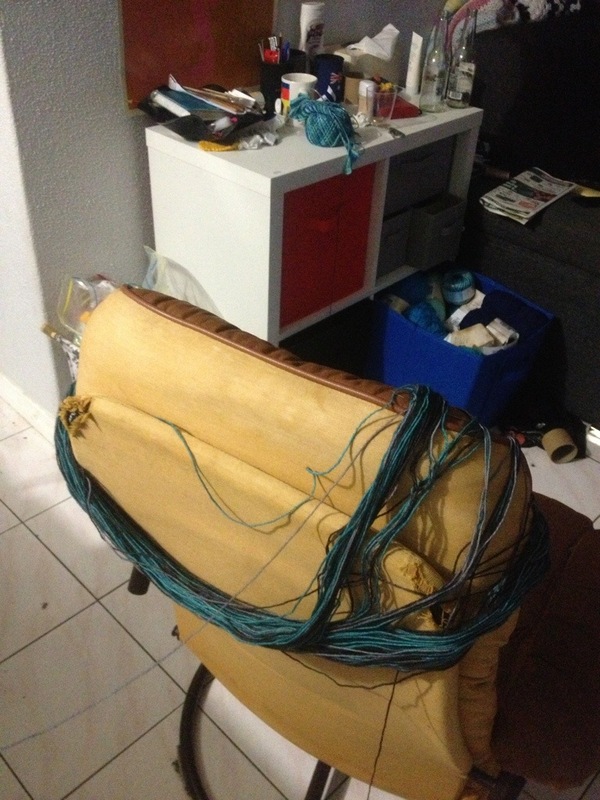 The back of the chair method of ball winding worked well until the final stages. I then tried to use my hands like they do in movies, but it quickly spiralled out of control. I’ll chalk this one up to experience. Although if anyone has any tips I’ll be grateful.